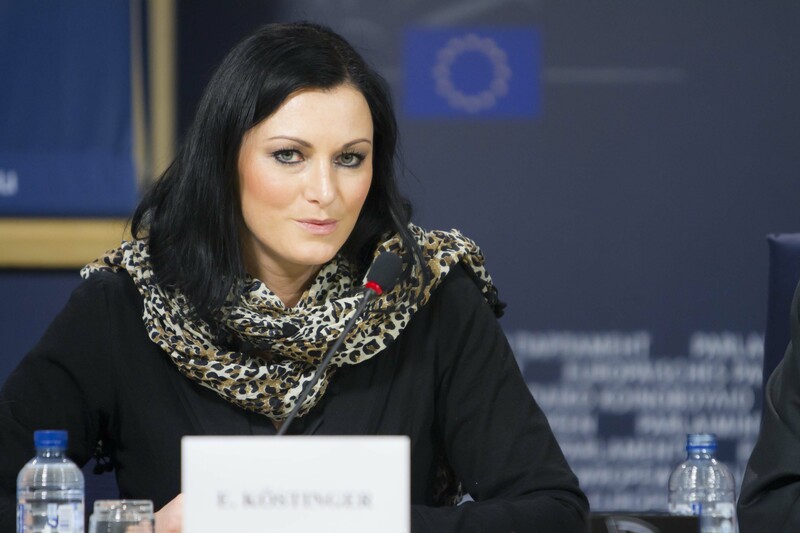 Elisabeth Köstinger is an Austrian MEP and member of the European People’s Party (EPP). After years of controversy on the authorisation of genetically modified maize and potatoes, heated debates on risk assessment and the role of EFSA (European Food Safety Authority), the stalemate in the Council on granting EU member states the possibility to opt out of GMO cultivation on their territory finally came to an end. A compromise suggestion by the Greek Presidency in March 2014 had paved the way for an agreement in Council in July. Subsequently, Parliament picked up where it had left off in 2011 and started the second reading. The debates in the environment committee were emotional, to say the least. Every MEP had a personal opinion on the topic, ranging from fierce rejection of GMO to avid defence, thereby reflecting a considerable rift between member states’ positions. The Council position, as a basis for discussion, was not to everyone’s taste. In particular its core element, the 2-step procedure that required the “applicant’s” approval to the member state’s demand to opt-out, was subject to heated debates amongst political groups. There was a widespread concern among the Social Democrats, the Greens and the Liberals, that sovereign governments would be at the mercy of private multinational GMO companies, thereby creating an unnatural equilibrium between the two. However, from a legal point of view there was no way around the integration of the applicant. A scenario in which a government bans a previously authorised GMO is from its national territory without giving the authorisation holder an opportunity to react is bound to end in front of the European Court of Justice. With the final compromise, though, according to which the first phase is voluntary, this problem could be solved to mutual satisfaction. The proposed measure further foresees mandatory co-existence measures, a review of the environmental risk assessment procedure and reporting on potential damages related to GMOs. Following the recent publication in the Official Journal of the European Union, governments can make use of these new provisions as of April 2015. As shadow rapporteur for the European People’s Party (EPP), I am largely satisfied with the final agreement, even if it came at a price. Transforming the European authorisation procedure to the point where member states can ban authorised products does violate single market rules. This was not an easy decision ? after all the single market is one of the EU’s most fundamental achievements. However, as elected representatives of EU member states, we cannot ignore our citizen’s growing scepticism about GMOs. Just a few weeks ago, new scientific findings on the travel range of pollen forced the Commission to delay its decision on authorising another variety of GM maize. This clearly demonstrates how little we know about this technique. It is our responsibility, though, to manage these risks, take our citizen’s resentments seriously and act accordingly. A review of the existing authorisation procedure is highly necessary. In times of euroscepticism and fear of over-regulation, it would not be wise to impose GMOs on countries who do not want them. Thus, freedom of choice is a fair solution. From now on, when it comes to the question of GMO cultivation, member states will have the freedom of choice, and full legal certainty for whichever decision they take. National governments will hence be able to answer to their citizen’s GMO preferences directly, and no longer use “the EU” as a scapegoat. Enabling member states to opt out of GMO cultivation is a step forward, even at the price of weakening the single market. We need a European Union that is closer to our citizens and reacts to their concerns, even if that means breaking one’s own rules once in a while. I am fully convinced that European agriculture should, for its own benefit, concentrate on remaining GMO-free. This road may prove to be a bumpy one since in some sectors, such as protein crops for animal feed, Europe is heavily dependent on importing genetically modified products from third countries. Measures such as increasing the soy production in Europe, exploiting alternative protein sources and creating relevant infrastructure and markets could however contribute to reducing this dependency, and promote a decrease of meat consumption. The EU has already adopted pertinent policies. In the long term, the benefits would clearly outweigh potential risks ? committing to GMO-free agriculture and food will open up not only new economic, but also ecological and public health opportunities for Europe.